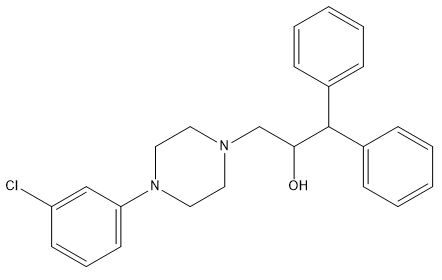 Azasetron HCl is a selective and potent 5-HT3 antagonist (Ki = 2.9 nM). Ritanserin is a selective and potent serotonin-2 antagonist. 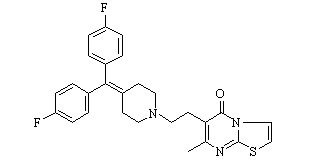 Ritanserin acts as a selective 5-HT2A (Ki = 0.45 nM) and 5-HT2C receptor (Ki = 0.71 nM) antagonist. 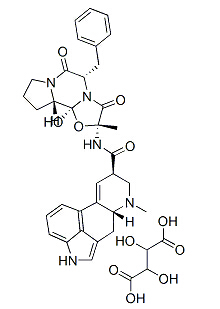 Ipsapirone is a selective 5-HT1A receptor agonist (Ki = 10 nM). BRL-15572 is a drug which acts as a selective antagonist for the serotonin receptor subtype 5-HT1D, with around 60x selectivity over other related receptors. Altanserin is a compound that binds to the 5-HT2A receptor. Labeled with the isotope fluorine-18 it is used as a radioligand in positron emission tomography (PET) studies of the brain. Ergotamine tartrate is a vasoconstrictor found in ergot of Central Europe. It is a serotonin agonist that has been used as an oxytocic agent and in the treatment of MIGRAINE DISORDERS.